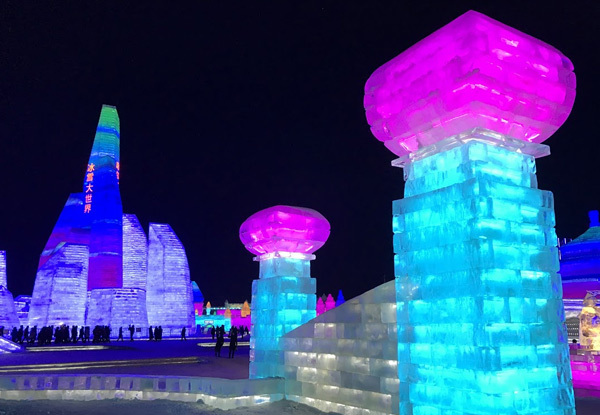 Journey into the heart of winter at China’s Harbin International Ice & Snow Festival, a vast winter wonderland of the biggest and most elaborate ice sculptures in the world. Embrace the frozen glory of winter in this journey to China’s frosty northeast and experience the diverse and spectacular Chinese culture. From Beijing head to the remote north of the country to discover a city shaped by Russian as well as Chinese culture and experience a festival that’ll take your (frozen) breath away. Tour the festival with a local guide during the day and again at night, when the frosty re-creations of famous buildings, monuments and characters are lit up in technicolour. Make sure to book your spot for this once in a lifetime winter spectacle within seven days of purchase or before 31st March 2019, whichever occurs first. Grab a per-person, twin-share four-night package to China's Harbin International Ice & Snow Show Festival including transport, accommodation, festival entrance and more from Inspired Escapes. Welcome to China. Your adventure begins with a welcome meeting at 2.00pm. Please look for a note in the hotel lobby or ask reception where it will take place. Perhaps arrive into Beijing a few days earlier to explore the city. 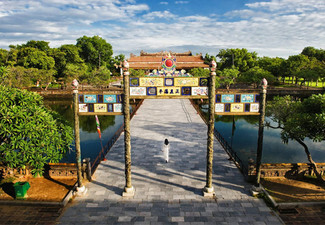 Visit Tiananmen Square, shop for arts and crafts at Panjiayuan Flea Market or check out the Forbidden City (the largest palace complex in the world). Board an overnight sleeper train to Harbin in the early evening. Today explore the Harbin International Ice & Snow Sculpture Festival with your local guide. Winters are very long and very cold in Harbin, and for entertainment, a tradition of ice carving developed, said to date back to the Qing dynasty when fishermen would pull ice from the Songhua river to carve into lanterns. This has evolved into an epic winter festival, with artists and sculptors competing to create the largest, most extravagant and intricately detailed structures. Entire buildings - cities, almost - are reimagined in frozen form. 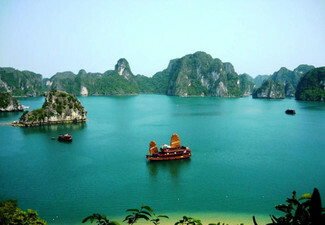 The festival is the largest of its kind in the world. 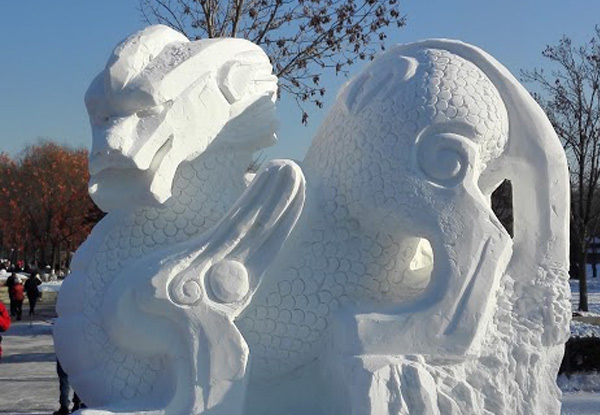 Tour the various exhibitions of sculptures made from snow and ice, which is sourced from the nearby Songhua River. 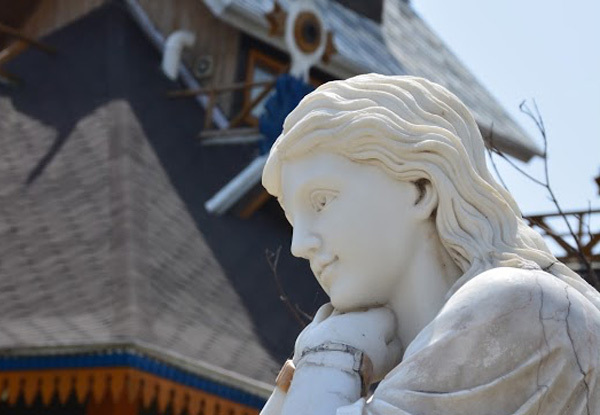 The sculptures are life-size re-creations of famous buildings, structures and characters, created by master sculptors and artists. Every year, the ice and snow sculptures in exhibit vary, but in the past, the festival has featured ice Kremlin, enormous seated Buddha and supersized Chinese fishermen. Observe the sculptures during the day, and engage in other optional activities such as sledding, ice hockey and ice mini golf. Revisit the festival at night, when the ice is lit up with colourful lights, keeping warm with a coffee or hot chocolate from one of the festival stands. In the morning, board a high-speed train for the comfortable journey back to Beijing (approx 7-8 hours) across the winter landscapes of China's north. 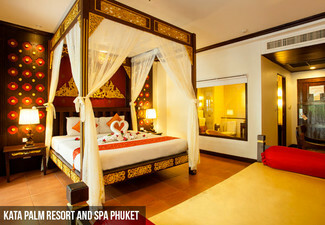 Transfer to your hotel on arrival and enjoy a free evening to explore the city. Perhaps catch an acrobatic performance at the Chaoyang Theatre or wander through busy street markets. Beijing boasts a world-class gastronomic scene. Feast on roast duck in a traditional restaurant, eat dumplings and noodles in a backstreet eatery or enjoy some of the best international dinings in China. Ask your leader for local food recommendations and farewell your group tonight with a feast. Train travel is intrinsic to Chinese life. Bunk up with locals and other travellers on an overnight sleeper train from Beijing to Harbin, and experience a high-speed train back the other way. A lot is packed in, in a short amount of time, so if you have some time to spare it is highly recommended to spend some extra time in Beijing. Want to secure your place and price for this deal but prefer to pay later? Simply purchase the per person deposit option. Full payment is due by 30th September 2019. The Harbin Ice Festival in northeast China's Heilongjiang province is truly one of the most awe-inspiring spectacles on the planet. 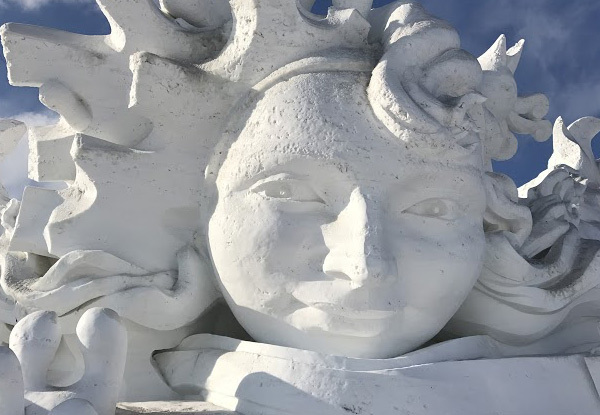 Entire cities of snow and ice twist and carve their shapes on the landscape, whilst artists from all over the world dream big and sculpt even bigger. 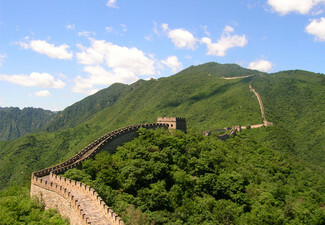 As well as the festival there is time to trace the remnants of China's imperial past in Beijing's Forbidden City, the Great Wall of China and in Xi'an where we explore the Terracotta Army. 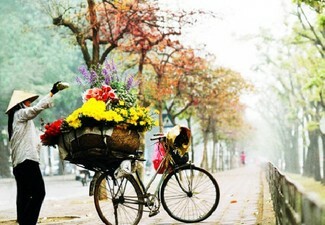 There is also time to experience the fusion of eastern and western culture in ultra-modern Shanghai. Bookings to be made within 7 days of purchase or by 31st March 2019, whichever occurs first. Valid for travel dates from 5th - 9th January 2020 & 20th - 24th February 2020. International flights not included. Must be used in 1 visit. Cannot combine coupons to lengthen stay. Want to secure your place and price for this deal but prefer to pay later? Simply purchase the per person DEPOSIT option. Full payment is due by 30th September 2019. Deal valid for one people on a twin share basis i.e. two vouchers must be purchased at this price. 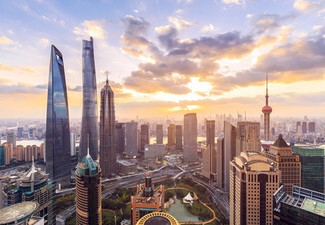 Includes: Walking Tour & Saint Sophia Cathedral; International Ice & Snow Sculpture Festival; Snow Park; Transport - overnight sleeper train, private bus, public bus, high-speed train, subway & Accommodation - Three-night stay in a local-style 3-star Hotel; 1-night stay in the overnight hard sleeper train. Excludes: Meals, Travel insurance, International Flights. Overnight train accommodation on this tour is in 6-berth ‘hard-sleeper’ class. Bedding is provided and wash basins and toilets (squat/western) are available in each carriage, but there are no shower facilities. Please note while travelling through mainland China you will not be able to access some popular internet websites. 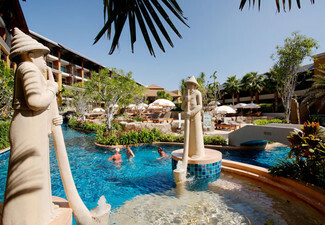 Passports must be supplied at the time of booking. 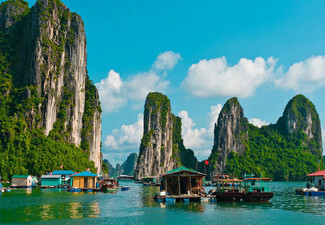 A single supplement of $260 is available on this trip, payable direct (excluding overnight trains). Visas are the responsibility of the traveller. Travel insurance recommended. Value of deal is based on current rates, which are subject to change. Due to the specific date of departure for this deal, once you have received the GrabOne email confirming your purchase, this purchase is not refundable unless required by law. No cash back. Not to be used with other offers.